Microchips are a common form of permanent identification used for dogs, cats, mini pigs, livestock and small animals. Millions of pets around the world have been microchipped. These tiny chips are used for identification, proof of ownership, and reuniting lost, stolen, or abandoned pets with their owners. Some countries require all pets to be microchipped. In the Unites States it is voluntary but highly recommended. The chips each have a unique identifying number. When a lost or stolen pet is found a veterinarian or animal shelter worker will scan the chip to retrieve the unique identifying number. They will then contact the chip manufacturer to lookup the contact information for the owner, breeder, or rescue organization that is registered to the chip. Rescues groups are encouraged to microchip all intake pigs. This will ensure foster and adoption contracts are enforceable by identifying the animal. It also covers the identification requirement to enter most states. By microchipping all pigs before adoption you will also put a virtual tether on those pigs. In case they are lost, stolen, or abandoned after adoption, the shelter or veterinarian that is notified will check for a microchip. If it is still registered to your rescue group then you will be notified that the pig has been found. This is quite possibly a life saving step that will reduce the number of displaced pigs. Microchips come in several frequencies: 125 kHz, 128 kHz, 134.2 kHz. Popular brands include Avid, Home Again, ResQ, AKC, and 24PetWatch. 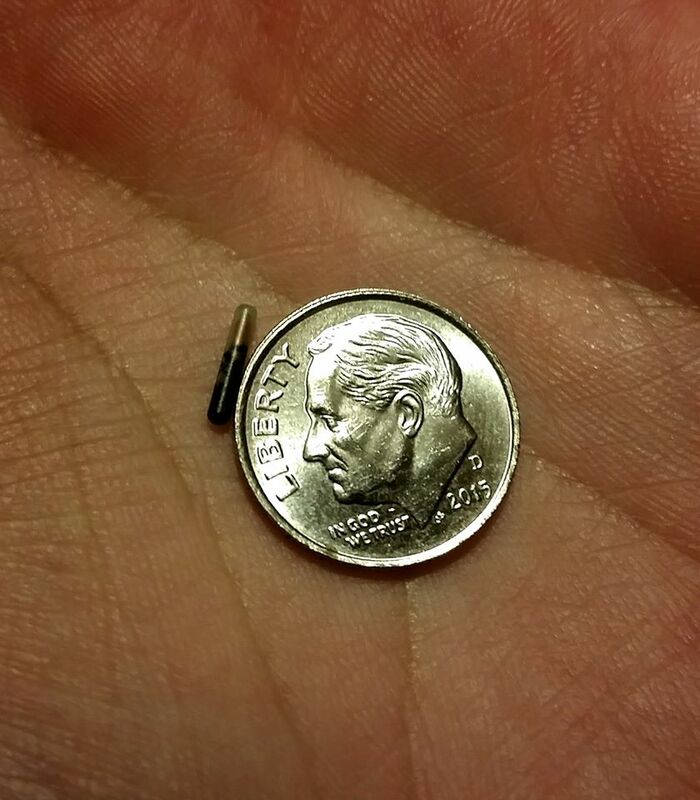 The microchip itself is encapsulated in a piece of medical grade glass roughly the size of a grain of rice. Inserting a microchip is quick and easy. 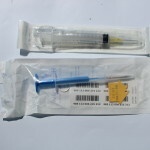 It is inserted using a needle similar to a vaccination. It only takes a second leaving no pain. 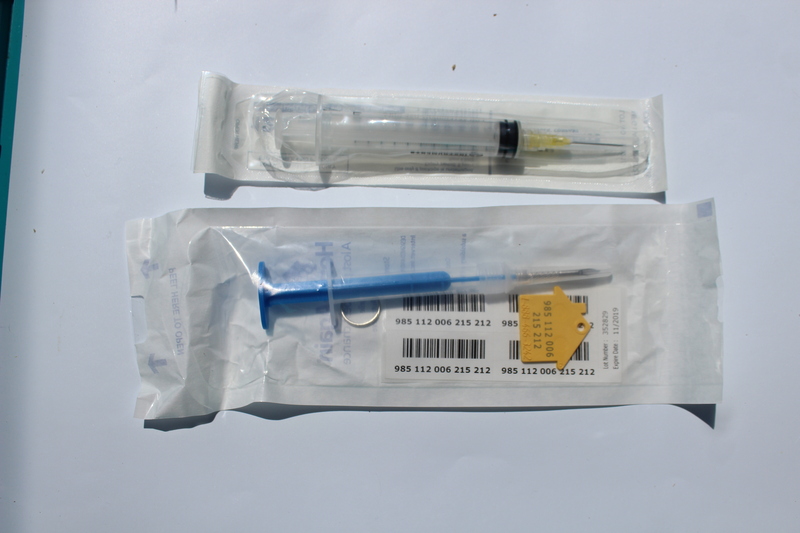 Anesthesia is not needed or recommended for the insertion of the microchip, although some pet owners do choose to microchip their pets while they are asleep for a spay or neuter surgery. As an owner or rescue organization you are legally allowed to insert the microchips into your own pets. Most people choose to use their veterinarian or a low cost microchip clinic for this service. See below for the American Mini Pig Association’s Microchip Placement Guidelines. When a mini pig travels across state lines, leaves the country, or flys on a plane, a permanent form of identification is often needed. The easiest, least painful, and most cosmetic form of permanent identification is a microchip. Other forms of permanent identification are ear tags punctured through the ear or tattoos identifying the animal. If your pig already has a microchip, ask the veterinarian to put the microchip number on the health certificate that is needed to cross state lines. 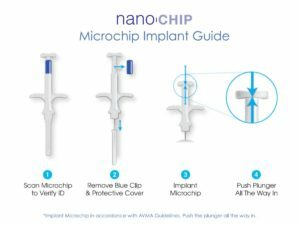 Where to buy: Microchips are available online at Amazon.com or from your local veterinarian. Rescue organizations may be eligible for bulk or discounted pricing. Contact individual microchip manufacturers for details. 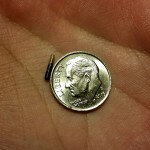 Once inserted, the microchip should be registered through the pet recovery service. This is the most important step of the microchip process as it connects the microchip number with your contact information. Without this contact information the microchip is useless. Additional services may be available through the pet recovery service, such as 24/7 emergency medical hotline, travel assistance if your pet is found far from home, lost pet alerts, and specialists available for support and advice if your pet is lost. Microchips have become the leading form of permanent identification for pets. The American Mini Pig Association recommends microchips for all pet pigs. Registering the microchip with current contact information will help to protect the pig in case of emergency, disaster, theft, loss, or the pig is taken to a shelter. The standard placement of the microchip in a pet pig is subcutaneously at the base of the left ear on the scutiform cartilage. 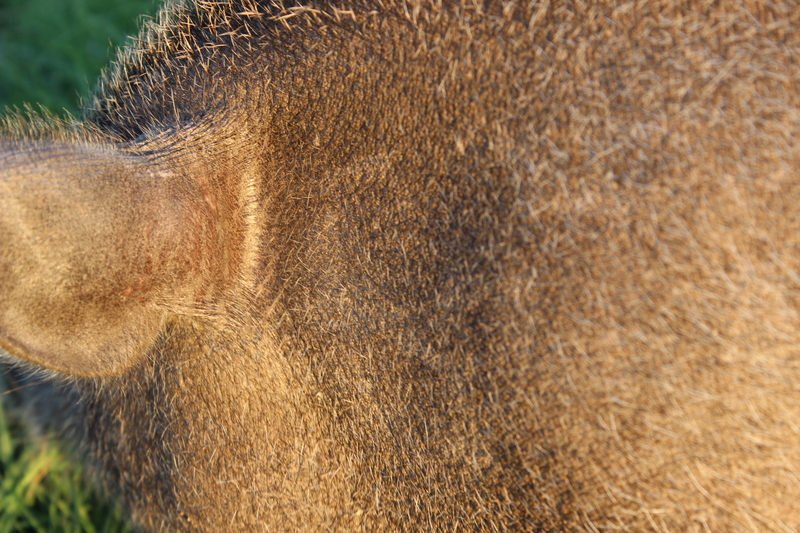 Microchip placement between the shoulder blades in pigs is not recommended due to the difference in skin from dogs. The pig’s skin does not “tent” the same as a dog’s skin would for proper placement. 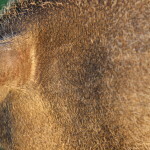 In addition, chip readability is compromised in areas of increased fat deposits such as the shoulder area. We recommend FREE registration of your microchip (any brand) at www.24PetWatch.com which is integrated into the AAHA Universal Pet Microchip Lookup Tool. 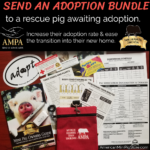 The American Mini Pig Association is dedicated to reuniting lost pets with their families. Microchip information will be stored in AMPA’s nationwide database of Registered Members. In addition, lost pets will be networked on the AMPA website, Facebook page and other social media outlets. Scanning a mini pig for a microchip is of equal importance as correct chip placement.. The AMPA recommends placement of microchips behind the left ear. However, many pigs may be chipped in other areas. When scanning a mini pig, the scan area should include the region behind both ears, the length of the neck, around the shoulders, as well as a thorough check for microchips that have migrated away from the implant site. The American Mini Pig Association would like to thank the following veterinarians in their guidance and assistance in developing this standard microchip placement for mini pigs as well as published recommendations by the World Small Animal Veterinary Association Congress.